You'll be £25.00 closer to your next £10.00 credit when you purchase Japan's Last Bid for Victory. What's this? Robert Lyman's deep knowledge and understanding of the war in Burma, and the great battles at Kohima and Imphal in 1944, are well known. In this book he uses original documents, published works and personal accounts to weave together an enthralling account of some of the bitterest fighting of the Second World War. 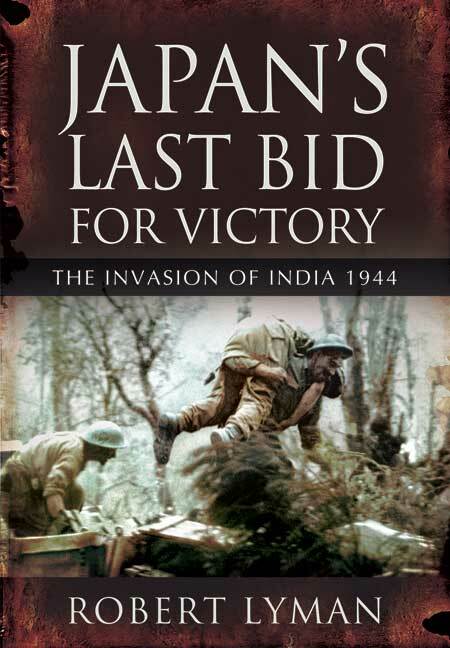 Not only does he use British sources for his research but he has also included material from the Naga tribes of north-east India, on whose land these battles were fought, and from Japanese accounts, including interviews with Japanese veterans of the fighting. Thus he has been able to produce what is arguably the most balanced history of the battles that were pivotal in ending the Japanese empire. This is an excellent account of a series of very hard fought battles that helped prepare the way for the British re-conquest of Burma, and that was one of the first major land defeats suffered by the Japanese. An impressive and well-written account of the 1944 campaign. Focuses on the operational and tactical dimension, rather than its strategic counterpart. An interesting guide to current thinking on an important campaign. Robert Lyman was a British Army officer for twenty years, having been commissioned in the Light Infantry. Born in New Zealand, he was educated in Melbourne, Australia and at the Royal Military Academy Sandhurst. He is a much respected military historian and an acknowledged authority on the campaign in Burma. His previous works include a brilliant study of Field Marshal Bill Slim, the architect of the Allied victories at Imphal and Kohima and of the subsequent campaign that destroyed the Japanese armies in Burma and the siege of Tobruk 1941. He is Chairman of the Kohima Educational Trust. He lives near Reading, Berkshire.